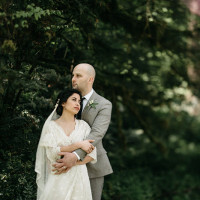 Having just celebrated my one year wedding anniversary and attended two friends’ weddings in the past 30 days… I would say wedding season isn’t just around the corner, it’s HERE full stop! 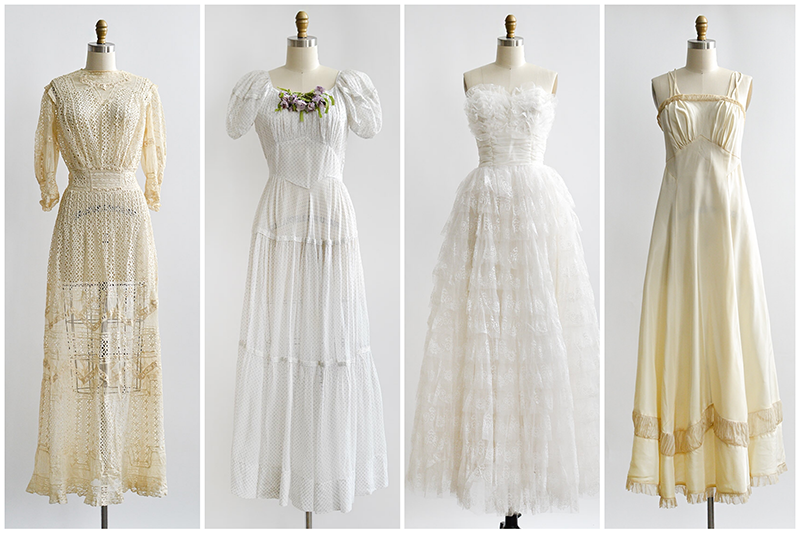 All these joyous and romantic nuptials inspired me to add several new vintage wedding dresses, bridal heirloom jewelry, and vintage veils and hair adornments to the shop! 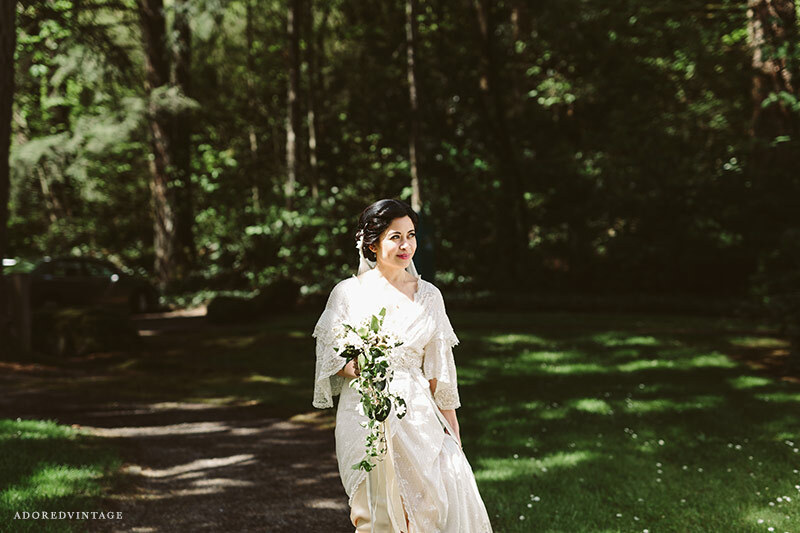 I wore an antique turn of the 20th century wedding dress for my own nuptials last Spring and felt so very beautiful in it! 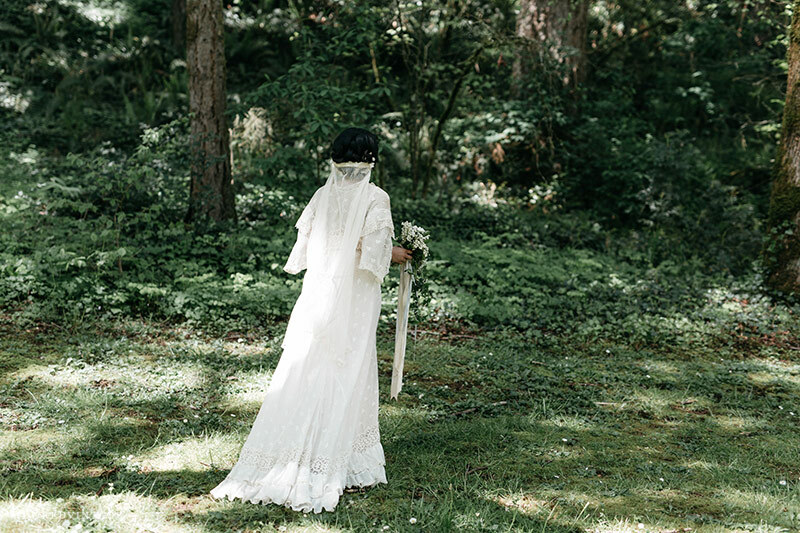 Perhaps you will find yourself walking down the aisle and reciting your vows in a vintage wedding gown from Adored Vintage? 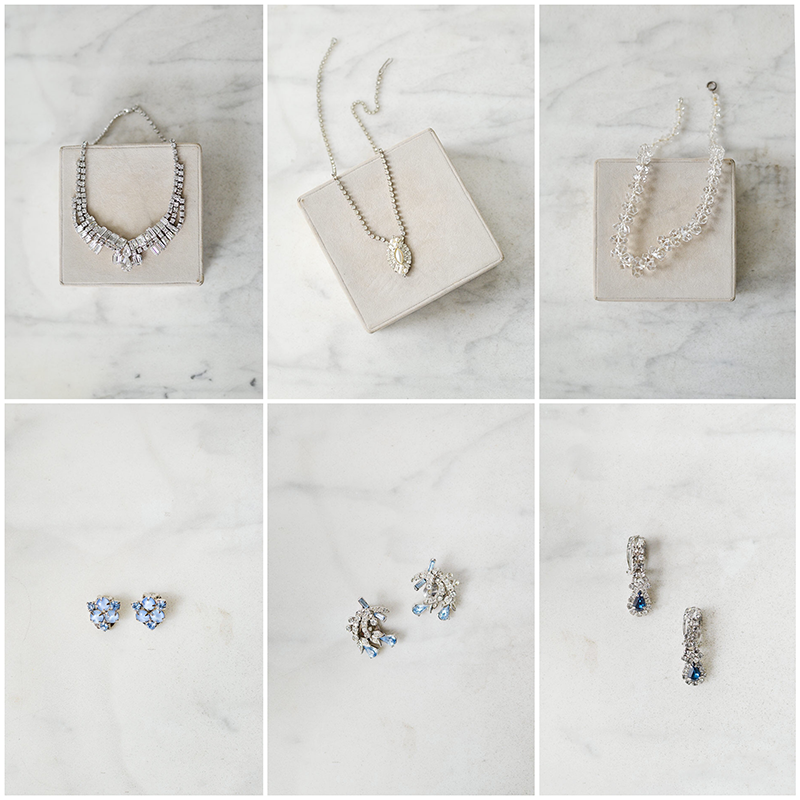 And at LONG LAST… finally the Bridal Jewelry category is no longer empty! 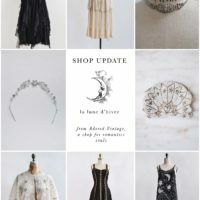 There are several new pieces of wedding worthy jewelry in the shop right now. Bright and shimmery clear rhinestones that sparkle like diamonds and sapphire and aqua blue accents. 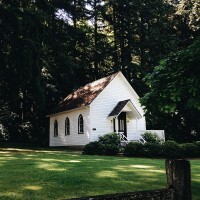 Something Old. Something Blue. 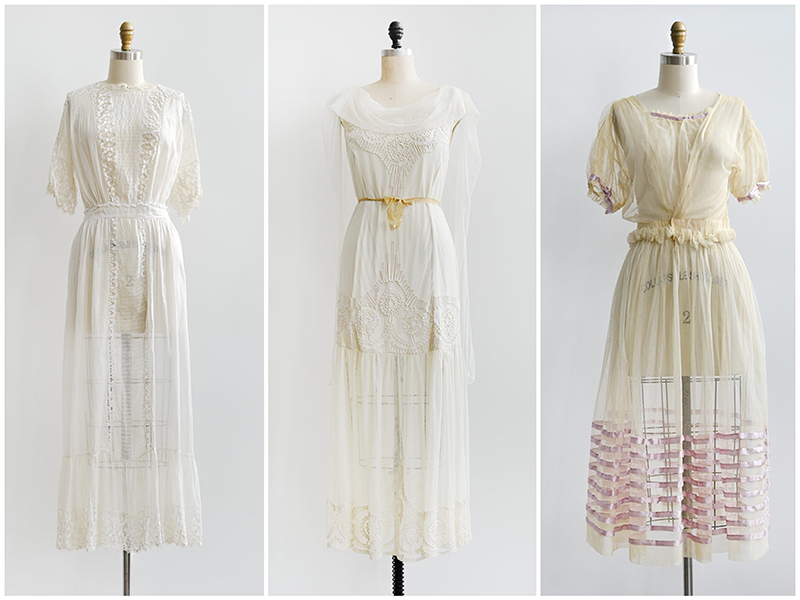 I have a few really beautiful antique veils to add into the shop soon, but they need a bit of special attention before they go into the bridal shop! 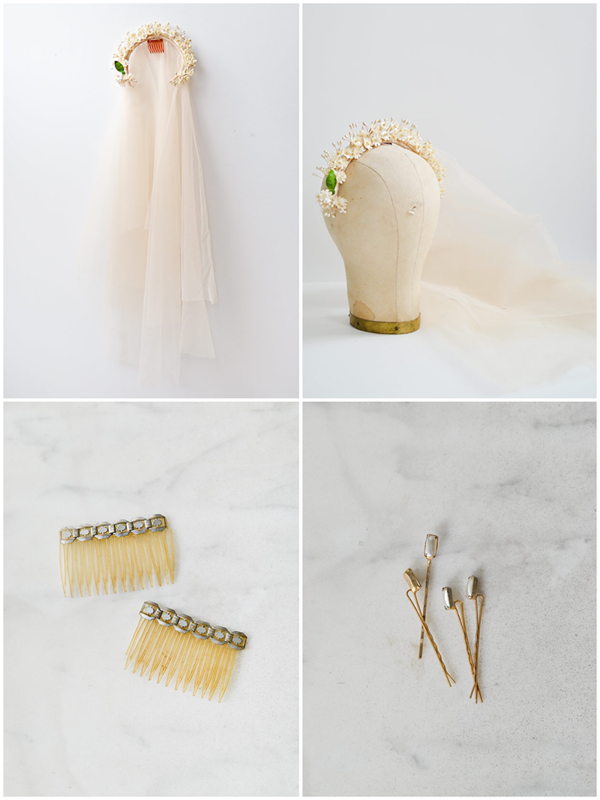 However, there are a few sweet vintage hair adornments including a pale blush veil with wax flowers! For my own nuptials I made my veil! 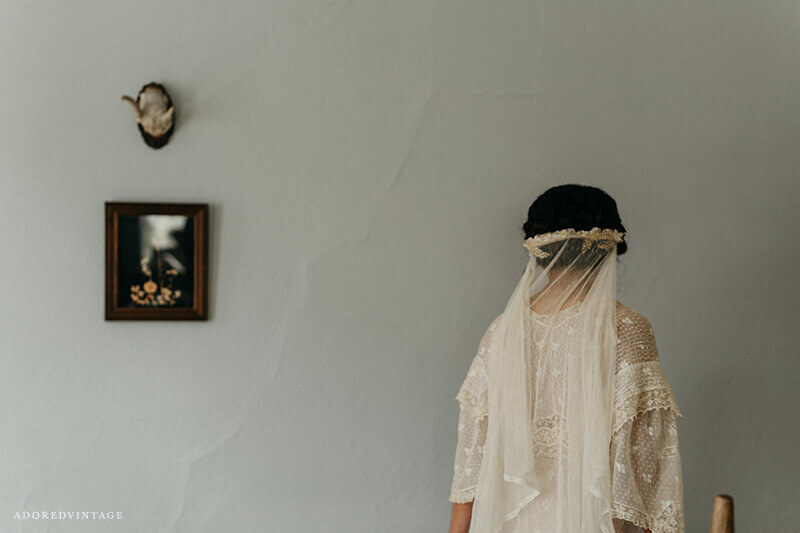 I used antique orange blossom wax flowers, antique lace recycled from a tattered dressed, and deconstructed a too-costume looking 1920s wedding veil. 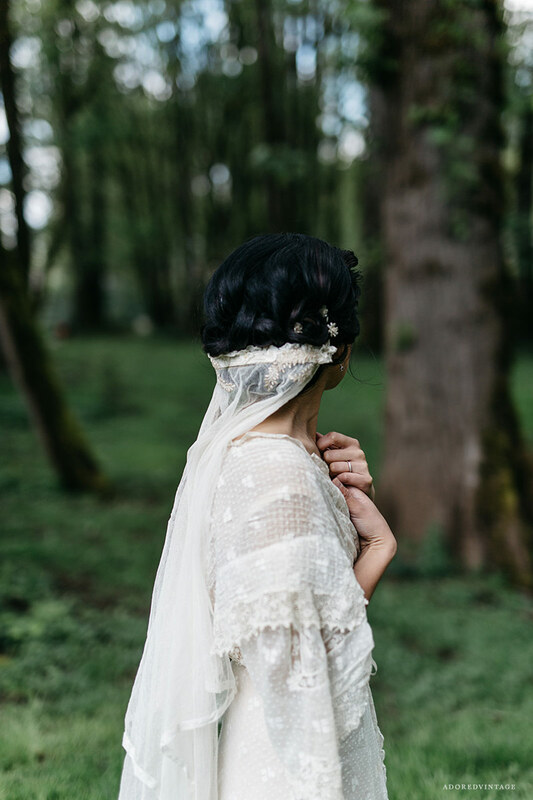 I was very close to wearing a Cathedral length veil, but my dress had flutterry sleeves and a train already, so I opted for a shorter vintage wedding veil instead. 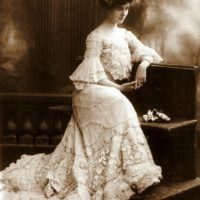 I think originally this was a Communion veil, it has silk rosettes on it and a little odd tulle cap. The cap was odd looking on me. I found some bits of lace appliqué on an old dress that was too far gone, so I trimmed it off and stitched it onto the veil.